The Best Electric Dog Fence Reviews Anywhere! Dig Your Dog’s in-depth electric dog fence reviews are dedicated to helping you find the best electric dog fence for you and your furry friend! Should I get a wireless or in-ground fence? How many levels of static correction do I need? Which fence is best for my dog’s temperament and size? Then you’ve come to the right place because not only does Dig Your Dog have detailed reviews about wireless dog fences and underground dog fences, we also have buying tips, comparison charts and lots more. Everything you need to know before you buy an electric dog fence! So let’s dig right in; if you see anything you’d like to know more about just click the link. The PetSafe Wireless Pet Containment System PIF-300 has been around for almost 15 years and continues to be the top seller year after year. Reliable, easy to use and completely portable, the wireless electric dog fence reviews for the PIF-300 are excellent no matter where you look. For those reasons, this Petsafe wireless dog fence is hands down our #1 recommendation in this category. The PetSafe YardMax PIG00-11115 Rechargeable In-Ground Pet Fencing System has only been around for a few years but it gets rave reviews from consumers across the internet and is our top recommendation for an in-ground fence. Not only is it dependable, rechargeable and loaded with features, the exclusive YardMax mode gives your furry friend up to 30% more room to play, making it ideal for smaller yards. For extra small doggies: PetSafe Elite Little Dog Fence. With the smallest and lightest receiver collar on the market, this is without a doubt the best underground fence for small dogs! If you have a hardheaded dog: PetSafe Stubborn Dog Underground Fence. When it comes to containing your stubborn dog there’s no better wired dog fence! Best budget: PetSafe Basic In Ground Fence PIG00-14582. The 14582 may not have as many features as more expensive DIY electric dog fences but it’s got all the basics and it’s reliable and that’s why I’ve singled it out as the best underground pet fence you’ll find for less than $150. 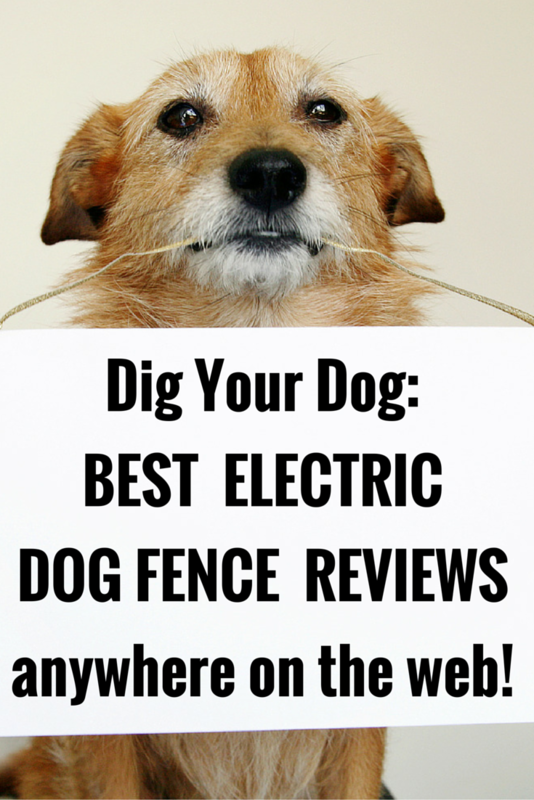 How Do We Write Our Electric Dog Fence Reviews? We look at every aspect of electric dog fences. The pros and cons of the most popular, least popular and everything in between. We study the manuals, talk to the manufacturers, ask questions in forums and read tons of consumer reviews. We make sure we do everything we can to give you all the information you need to know before you buy. You can count on us for thorough, honest reviews that will help you feel secure about your final purchase decision. But we don’t sugar coat the information. We believe that in order for you to make the best decision possible you need to know the good and bad; things that will work for you and things that won’t. At Dig Your Dog you’ll find only the truth…whether it be good, bad or just plain ugly! Are You New To Electric Dog Fences? This article will answer the question: Is an electric dog fence right for you? Head over here if you’re wondering about the costs of an electric dog fence. You’ll find out what it’ll cost you upfront as well as what the average ongoing maintenance costs are. 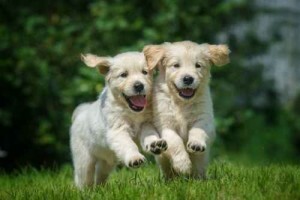 If you have a puppy this article will help answer one of the most common questions people ask before buying a fence: What age should your puppy be before being introduced to an electric dog fence? Both wireless and in-ground fences are an excellent way to keep your dog safely contained but which one is right for you depends on your situation. Wireless fences are easy to set up and maintain but they only offer a circular shaped boundary. In-ground dog fences take more time and effort to install but they can be completely customized to perfectly fit the size and shape of your yard. Those are just some of the differences but knowing all the differences can help you determine which one is best for you. If you’d like to know more, head over to this article to learn the 5 main differences between wireless and in-ground dog fences. Helping you decide what’s best for you and your four legged friend is our passion. You need all the important details when it comes to making an educated decision for that lovable ball of fur in your life and we’ve made it our mission to dig ‘em up for you! So come on in, poke around and check out the most in-depth electric dog fence reviews anywhere on the web.